A passionate group of brass musicians based in Ottawa, Ontario, Canada, playing some 60 concerts annually to audiences throughout eastern Ontario. The Manotick Brass Ensemble was formed in 2003 by Kazimier Samujlo and Martin Luce. The ensemble provides local brass musicians an opportunity to use their musical talents to enrich the cultural life of their community. Manotick Brass performs as a regular brass quintet with the extra players allowing flexibility to meet specific program needs. The ensemble practices every Tuesday evening at Knox Presbyterian Church in Manotick ON. Kazimier has been playing the trumpet since the age of 11 years. 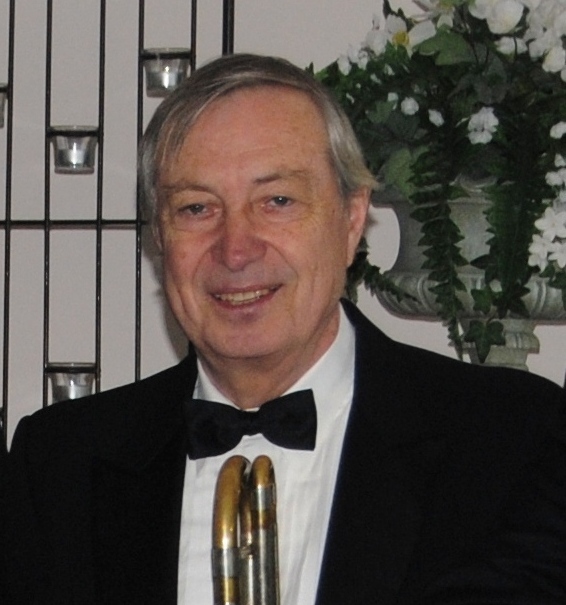 He commenced his music studies at the Poznan Lyceum of Music in Poland and subsequently graduated in 1974 with a BMus in trumpet performance from the University of Ottawa. Following his graduation from Queens University Teachers College Kazimier entered the teaching profession in Ontario. For the next 30 years he was active as a music teacher and performer throughout eastern Ontario. During this period, he was appointed conductor of the Nepean Community Choir, the Polish Paderewski Choir and the Petawawa Legion Community Band. For 18 years Kazimier was the leader of the International Set Dance Band. He was also an active performer on trumpet with the Ottawa Symphony Orchestra, the Ottawa Valley Festival Orchestra and the Pembroke Swing Band. Kazimier has performed extensively as a trumpet soloist including concerts in Poland, Russia, Germany, Holland, Italy, Australia and Cuba. 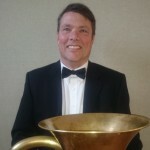 He is a founding member of the Manotick Brass Ensemble and plays regularly at St. Leonard’s Catholic Church in Manotick. Kazimier is also an accomplished accordion player performing with an Ottawa based oompah band. He has been a professional piano tuner for nearly 40 years. Nicole is a classically trained trumpeter with a passion for research in psychological and physiological musician’s health issues. 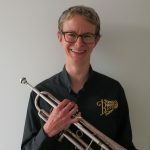 After being trained at the east coast’s Acadia University in trumpet performance, Nicole’s studies brought her to the University of Ottawa where she earned her master’s degree in trumpet performance, and is now pursuing a master’s degree in Music Pedagogy. Nicole’s primary area of interest is music performance anxiety (MPA) and she is currently researching the effects of mindfulness meditation training on MPA. Nicole continues to perform regularly throughout the city of Ottawa where she hopes to spread her love of music as well as an awareness for musician’s health issues. 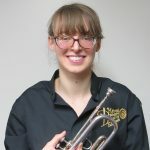 Laurel joined the Manotick Brass Ensemble in April 2018. She also performs with the Carleton Jazz Ensemble, and has been a member of the the Jazz Council, Symphony of the Kootenays, and Kootenay Brass Quintet, an accompanist and brass coach at Selkirk Secondary School, and conductor of the Kimberley Community Band, Kimberley Community Choir, and Kimberley United Church Choir. In December 2017, Laurel performed as a trumpet soloist in Karl Jenkins’s ‘Stella Natalis’ with the Nelson Choral Society. Laurel studied music at the University of Ottawa, philosophy at the University of Alberta, and is currently pursuing a PhD in Cultural Mediations at Carleton University. Christine retired after 33 years as an Intermediate and primarily a High School music teacher. As Head of Department at Canterbury High School in Ottawa, Christine helped initiate and administer the specialty music portion of the successful Eastern Ontario Programme of the Arts at Canterbury. After her retirement from secondary school teaching, Christine taught Intermediate and Senior Music as a Part Time Professor in the University of Ottawa Education faculty. She continues to do workshops and clinics with Concert Bands. Christine, an Ottawa native, obtained Bachelor of Music and Bachelor of Education degrees at Queen’s University in Kingston, Ontario and her Master of Music Education at State University, Potsdam, New York. She is an affiliate member of C.M.E.A., O.M.E.A., C.B.D.A., O.B.A. and Phi Beta Mu. Keigan Macdonell is an undergraduate student at Carleton University, where he is completing a B.Sc. (Honours) in neuroscience. He has been playing the French horn for seven years. 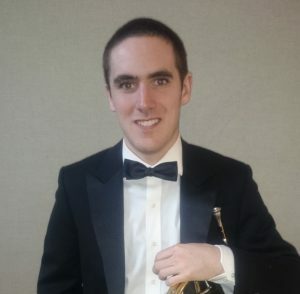 In addition to playing with the Manotick Brass, Keigan also plays with the National Capital Concert Band and with the Carleton Conspiracy Pep Band on the mellophone. Martin was a late comer to the trombone, taking up the instrument in his 40s. Since retirement he has made music his passion. Martin formed the Manotick Brass Ensemble in 2003 and acts as the ensemble’s manager. He spends many hours tracking down interesting arrangements and creating ideas to enhance the ensemble’s concerts. Martin is a regular player at Knox Presbyterian Church in Manotick both as a member of the worship praise team and as a soloist. Annett is a multilingual translator who also enjoys the ways of expression through music. She joined the Manotick Brass in 2017 where she plays the trombone part on the euphonium. 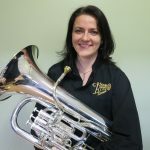 At the age of 9 she started her musical training at a music school in Germany and played in several orchestras, brass bands and smaller ensembles for almost 20 years. 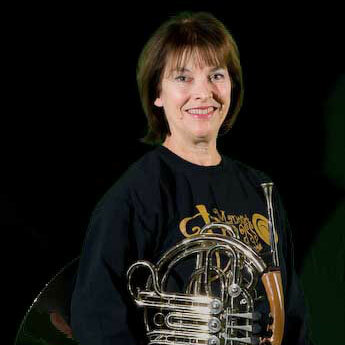 When she moved to Canada, the music lay dormant for a few years until she joined the Manotick Brass. Annett also plays at Knox Presbyterian Church in Manotick during the worship service. Tony joined the Manotick Brass in 2008. He started his musical career on trumpet in elementary school, but quickly switched to trombone and has played with a number of military bands, community bands, jazz ensembles and orchestras since then. In addition to trombone, Tony also plays tuba.